He's Just Not That Into You - But Why? The Overanalyzer. Girls, you know you’ve been there. Poor Gigi is chronically unlucky in love, yet always finds herself picking apart the tiniest flicker of interest that a guy sends her way. You know you’ve done it. If he says “We’ll talk”, does that mean he’ll call you, or you should call him? He leaned in close when you were talking on your date, so that must mean he was interested in your every word. He took your card—that means he’ll call, right? So you accidentally on purpose show up at one of his favorite watering holes knowing there may be a slight chance you’ll run into him, even though a week has passed since your date, and even longer since his last phone call. I think you know where I’m going with this. Yet we still hold out hope that he’ll come to his senses and realize how perfect we would be together. Why do we do this to ourselves? The Aloof One. Janine has it all and is confident it’ll stay that way—career, gorgeous new house, loyal, attractive husband. What more could a girl want? It doesn’t occur to her that just because things are good, it doesn’t mean they can’t be better. Couples often need to work a little bit harder to keep the passion alive, especially after several years of marriage. Janine, unfortunately, learns this the hard way. The Patient Girlfriend. Beth has been in a very comfortable relationship with her boyfriend for so long, it’s hard to remember a time when they weren’t together. Though conventionalism isn’t completely her thing, lately it’s been bugging her that she and Neil haven’t even talked about marriage. The Vixen. Anna meets Ben innocently in the grocery store, but it soon develops into something more. The vixen may call it harmless flirting, but the significant other of the guys she’s flirting with may see it differently. Keep a close eye when you sense a vixen’s presence. The Best Friend. Conor plays the field, sure, but like most players, he’s more vulnerable than he’d ever care to let on. He’s madly in love with Anna, who doesn’t see him as anything more as the safe harbor she’s come to depend on. So does he settle for being in a relationship that’s huge on platonic friendship but comes up short on passion? Should the “best friend” accept less than he deserves for the sake of friendship, or does he walk away and hope to fall head over heels with someone else? I think we’ve all been there. The Cheater. Ben, though happily married to Janine, can’t help but give in to temptation just this once. Everyone has a weakness, but what matters is how that weakness is handled. Can cheaters salvage their meaningful relationships after a thoughtless fling? The Commitment-Phobe. Neil is perfectly content with his seven-year relationship to Beth, claiming he “doesn’t believe in marriage”. What is it about marriage that makes guys so uneasy? According to Neil and Ben, “No guy wants to get married”, and “All guys think about are the many other girls they’ll never be with.” Food for thought, perhaps? I’d like to believe that there’s a little more substance to most guys than this, but maybe I’m wrong? So again, should he give up the comfort of a secure, stable relationship in the name of making it “official”, or should the status really matter? The Confidante. Alex is Gigi’s voice of reason, and helps her navigate the rocky dating waters. Much to Gigi’s frustration (and amazement), Alex’s assessments of guy behavior are often correct. He’s a serial dater and keeps things casual. He uses his logic and sarcasm to keep his distance from any meaningful relationship. He’s as surprised as anyone when he falls in love. This time, all past behaviors are out the window. I think everyone fits into at least one of these categories. Is there any rhyme or reason to which types attract? I’m afraid not. 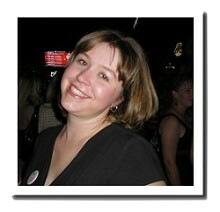 Date & Relate is published every Thursday by Online Dating Magazine columnist Sara Hodon.